How you will communicate your message. Who will receive the message. When and where you will deliver it. What materials the plan includes. Inform customers of what you promise, what they can reasonably expect from you (think Starbucks: They will remake your drink if you’re not satisfied, free of charge — it’s a no-risk situation), and how you differ from the competition. Be consistent. Don’t make promises you can’t keep. Your business’s credibility is key to its survival. Take a stand. You cannot be all things to all people. Does your company offer high-end, high-cost products? If so, brand your company as such — and resist trying to also brand it as a bargain basement. A personalized program, templates and media. One main message about your company’s brand across media. Follow-up materials that are consistent with your branding message. Control over how the system is set up and the message that your branding program sends, so that you can evaluate and adjust, as well as supervise your teams. 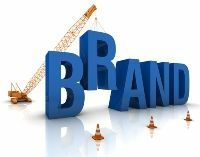 To ensure branding success, you’ll want to utilize a customizable, flexible program that sends one clear message about who you are as a company. Here’s where teamwork is key: You should be using consistent branding materials companywide. And it’s imperative that your sales team is following the same high ROI-proven branded systems. Continuity Programs works with corporations to build the best personalized and uniquely branded programs to support businesses, improving branding, lead generation and customer loyalty, in more than 20 industries. Contact us today to find out how we can help boost your company brand through our innovative marketing strategies and programs.